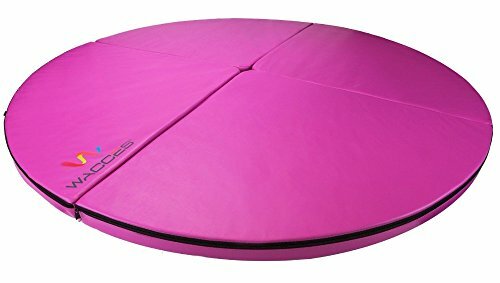 ✿ Use this versatile Crash Mat to add cushion to your floor stretching! Made with 2" dense padding for extra comfort and support, this mat is ideal for you if you need some extra cushioning. This mat can also be used for high intensity exercises, such as pilates. 5' x 2" mat folds into 4 sections for convenient storage and carrying around. ✿ Use this versatile Crash Mat to add cushion to your floor stretching! ✿ Made with 2" dense padding for extra comfort and support, this mat is ideal for you if you need some extra cushioning. ✿ This mat can also be used for high intensity exercises, such as pilates. ✿ 5' x 2" mat folds into 4 sections for convenient storage and carrying around.